Croatia - Incoming Tour Operator in Croatia, Uniline d.o.o. 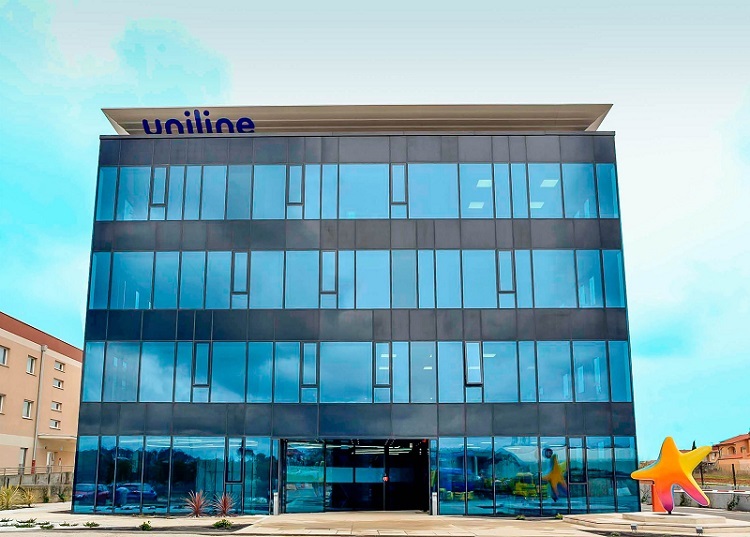 Uniline Ltd. is the leading destination management company in Croatia and the region of Southeast Europe with the main business headquarters in Pula and offices throughout Croatia, Bosnia and Herzegovina, Slovenia, Serbia, China and South Korea. The company was established in 1996 and has been successfully operating in offering the entire tourist product for individual and group guests. The rich offer consists of accommodation services, hotel management services, car rental, transfers, excursions, airplane tickets, skiing, congress organization, health tourism, sports events, tourist products of special interests and other tourist services tailored to the wishes of individuals. The company has also a trade department, recognizable in the Croatian market by branded goods for large commercial chains. Uniline business operations are based across Europe's key markets, and for the last couple of years, the company made a significant breakthrough in emerging markets at the global level, as well as in the outgoing business segment. Since 2010 the company has been the holder of the Europcar franchise with rent-a-car offices at all Croatian airports and a fleet of one thousand and two hundred vehicles of all categories, which puts it at the very top of rent-a-car companies in Croatia. A great deal of love, knowledge, business passion, vision and enthusiasm has been incorporated in the development and success of the company, resulting in Uniline being awarded as the most successful company in travel agency and tour operator sector in 2016, and in 2017 the company received the award for the best Croatian DMC tourist agency. Uniline's success is based on the strength of Uniline team which consists of more than two hundred experienced professionals, as well as on the high quality tourist product and top service that enabled Uniline to gain trust and loyalty of customers and business partners in the country and abroad. VISION: Uniline is the leading content travel company in creating and offering innovative experiences of Southeast Europe. MISSION: Together we are creating innovative travel experiences in a sustainable environment. Welcome to Croatia! Uniline makes it possible for you to get to know all parts of Croatia along with their beauties and richness, in an unforgettable way. Get to know Istria, Kvarner bay, Dalmatia and Continental Croatia with UNILINE. Hire Yourself a piece of history in the largest Croatian peninsula – From village houses to palazzos, the Istrian peninsula is the new place to go for charming self-catering properties. With its lush green hills, fertile valleys and honey-coloured medieval hilltop towns, Istria is a real jewel of unspoiled nature. Dalmatia has much to offer with its beautiful beaches and picturesque islands. The cities of Zadar, Šibenik, Trogir, Split, Dubrovnik and other will take You back to ancient history. Dalmatia is known as the 'pearl of the Adriatic'. Central Croatia's architecture was highly influenced by the baroque era, best seen in the rustic castles which are spread throughout the entire region. In Central Croatia is home to the country's capital city, Zagreb. Villages in Central Croatia are surrounded by vineyards and fields as well as historical castles previously inhabited by aristocrats.